Signed hardcover copies of Freedom: My Book of Firsts are exclusively available from The JAYC Foundation. 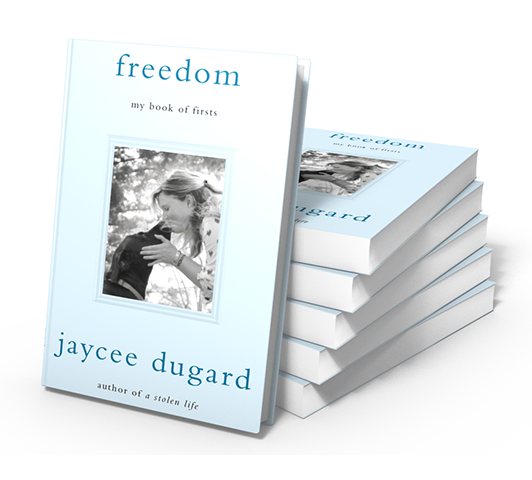 The book is signed by the author, Jaycee Dugard. In the follow-up to her #1 bestselling memoir, A Stolen Life, Jaycee Dugard tells the story of her first experiences after years in captivity: the joys that accompanied her newfound freedom and the challenges of adjusting to life on her own. When Jaycee Dugard was eleven years old, she was abducted from a school bus stop within sight of her home in South Lake Tahoe, California. She was missing for more than eighteen years, held captive by Philip and Nancy Garrido, and gave birth to two daughters during her imprisonment. A Stolen Life, which sold nearly two million copies, told the story of Jaycee’s life from her abduction in 1991 through her reappearance in 2009. Freedom: My Book of Firsts is about everything that happened next. 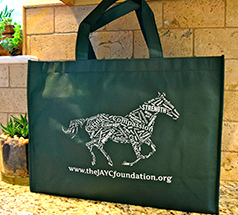 “How do you rebuild a life?” Jaycee asks. In these pages, she describes the life she never thought she would live to see: from her first sight of her mother to her first time meeting her grownup sister, her first trip to the dentist to her daughters’ first day of school, her first taste of champagne to her first hangover, her first time behind the wheel to her first speeding ticket, and her first dance at a friend’s wedding to her first thoughts about the possibility of a future relationship.